Alright...... It was a beautiful Sunny Sunday at the Tungku Beach. I think I prefer doing the Beach Cleaning at the afternoon then in the morning. The reason is I love the moment in the end of the event. Coz you can sit back and relax watching the beautiful sunset on the beach!!! You don't believe??? See the picture I took down there! 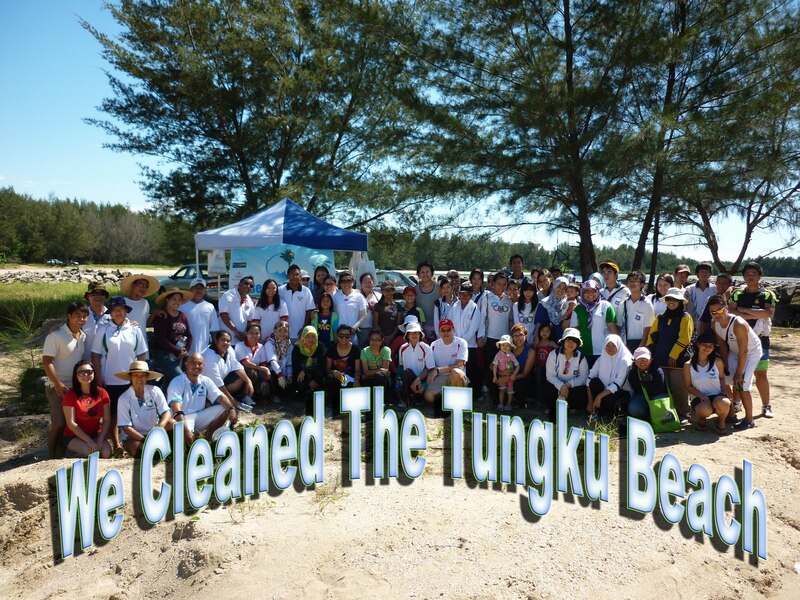 Thanks to the 82 volunteer from Daikyo Environmental Recycling, Science College, Pg Isteri Hjh Mariam Secondary School, Energy Division, Malai Mashor; Swiss Hotel Apartments, Manjaro Restaurant, Ranoaddidas.com and all the Beach Bunch member! Special thanks to Pilihan FM for featuring Beach Bunch and also thanks to Mr.Giap On sponsoring the foods. Thanks to you all we had collected 317 General Wastes, 51kg Plastic Bottles and 7.5kg of aluminum in 2 hours of on a space 500m.